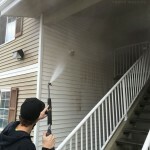 To grab the attention of responsible tenants and ensure your building is appealing to prospective renters, it’s a good idea to invest in power washing for the various surfaces that are prone to becoming dingy and dirty. 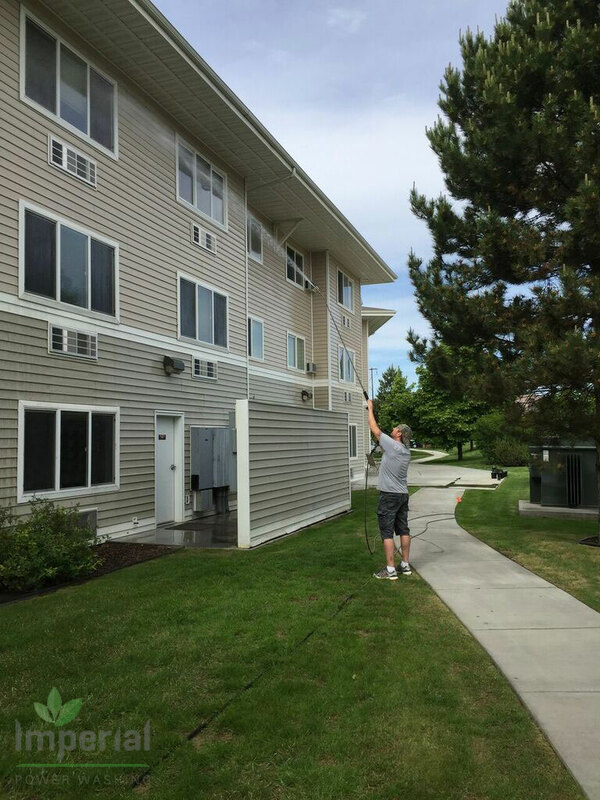 From brick facades to concrete, vinyl siding to patio furniture and more, Imperial Power Washing is pleased to provide apartment complex power washing in Richland, WA in a range of capacities. Dirt buildups: No matter what the façade of your building is made of, it’s bound to get dirty sooner or later. 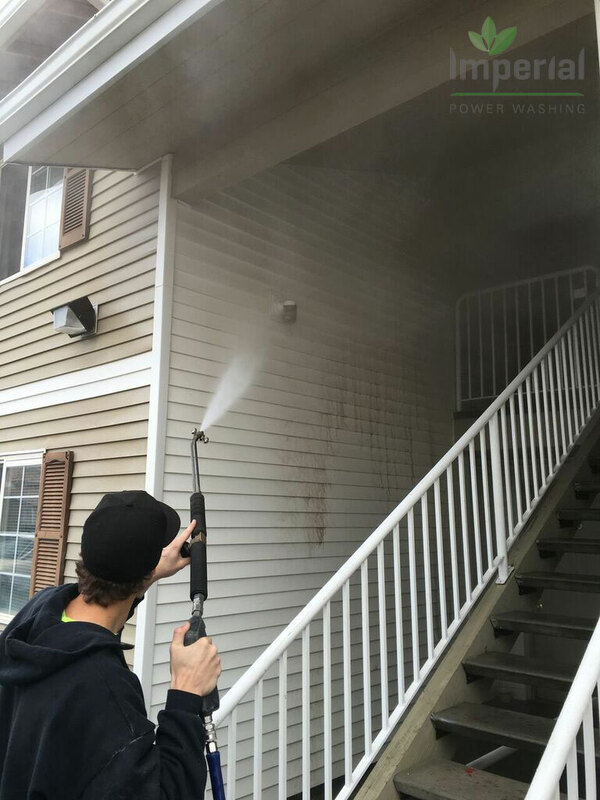 When the beauty of your building(s) starts to fade due to dust or your tenants complain of a lackluster appearance, trust Imperial Power Washing to take care of it for you. We even have the capabilities to clean multiple-story buildings! Concrete stains: Concrete stains can be a major eyesore for your property and leave prospective tenants wondering about the cleanliness of your facilities. Make quick work of concrete stains by letting our professionals power wash them into nothing. From rust to paint and everything in between, we’ll leave no trace behind when we’re done. 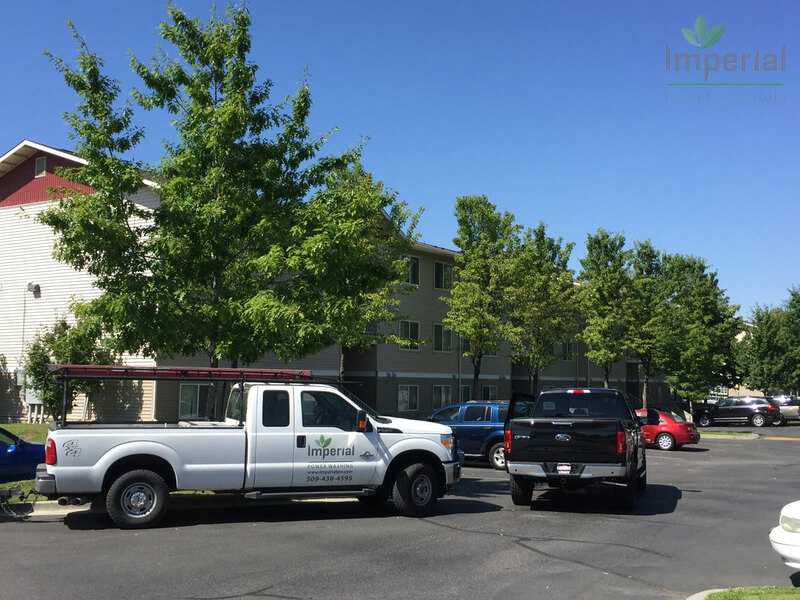 Graffiti: If your building has been the unfortunate target for graffiti, Imperial Power Washing is the place to call! As experts in graffiti removal, we’ll completely erase any crude messages, unwanted pictures, unsavory tags or spray paint blemishes, to give your facilities a clean, welcoming appearance. 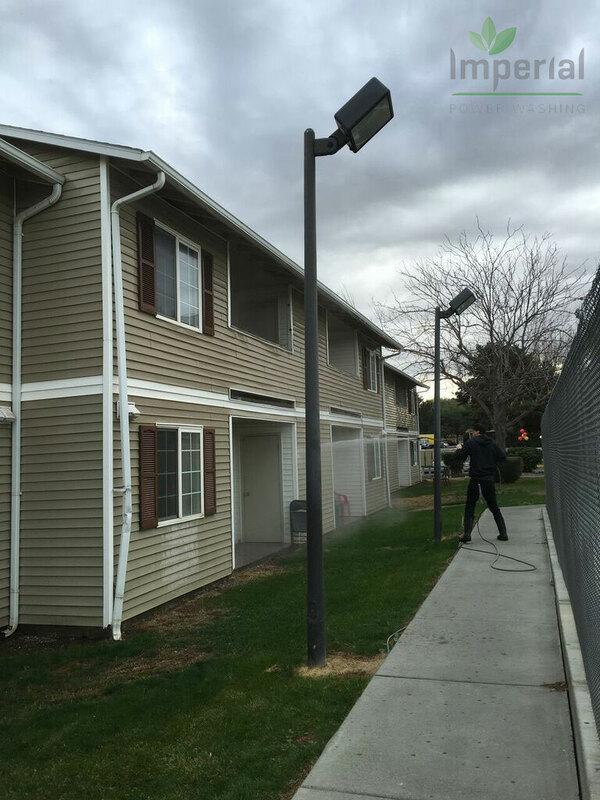 Window cleaning: Hard water stains and dirt buildups might be taking away from the charm of your apartment complex. Have your windows thoroughly cleaned by our professionals, to let sunlight stream through them once again! 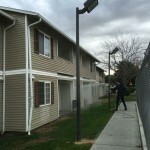 Roof and gutter cleaning: If your apartment complex’s roof becomes damaged due to decomposing debris, it’s going to cost you huge sums of money to remedy. Stay ahead of this problem and the ones that are sure to follow by having your roof and gutters pressure washed clean. Dumpster cleaning: For communal dumpsters and other sanitation concerns, we’re pleased to offer pressure washing. We’ll alleviate the grime and odors that are bound to present themselves and can make even the dirtiest dumpster gleam once again. 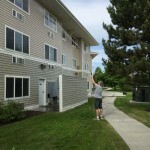 As a comprehensive apartment cleaning service in Richland, WA, we’ll do whatever it takes to keep your properties sparkling. We’re happy to partner with you for routine and regular cleanings throughout the year as well, to make sure help is only a phone call away. 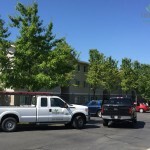 For more information about apartment complex power washing in Richland, WA or to request a quote on services, please contact our professionals today at 509-438-4595.